If you liked this show, you should follow Brown Suga Radio. 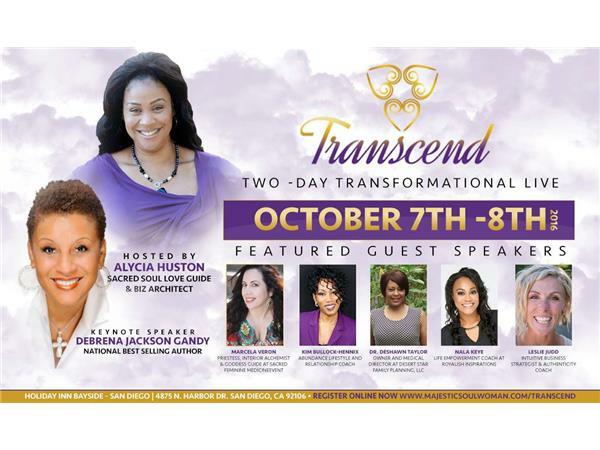 Alycia Huston will share the importance of taking your life to new heights at her amazing women's conference Transcend when you need a deeper transformation and you desire to create the life of your dreams, this is when it's time to unite with like minded phenomenal women. Today I challenge you to take a leap of faith and invest in an incredible 2- day Women's Empowerment Event is San Diego California. October 7-8, 2016. Starring National Best Selling author Debrena Jackson Gandy ,Sacred Soul Love Guide Alycia Huston, myself Abundance Coach Kim Bullock-Hennix and several other POWERFUL women will provide some amazing tools to elevate your life. This is one event YOU DONT WANT TO MISS!